1.1. This agreement applies when we, Equifax Australia Information Services and Solutions Pty Limited (ABN 26 000 602 862) supply any TenancyCheck.com.au (our "tenancy service") to you, our customer. 2.1. We will supply our tenancy services to you when you ask us to do so during the time those services are usually available. Our tenancy services are reliant upon communication links and other networks not within our control. While we will do our best to make sure the online tenancy services are available, we are not responsible if the links or networks are unavailable at any time, and we do not guarantee that services supplied online will be continuously available. 3.3. We collect information from you when you request our tenancy services, such as the information you enter in a search enquiry. You acknowledge that the quality of our services and information returned to you relies on the information you provide us in your request for the particular service. b. authorised you to list the tenant information on our system, use it for our tenancy services, and supply it to our customers when they use our tenancy services. 4.2. If a tenant has been refused a property on the basis of information obtained from tenancy, you agree to tell the tenant that they can contact tenancy to obtain access to their information to check the accuracy of that information and to request any necessary corrections. 4.3. You agree to comply with the Privacy Act 1988 (Cth), regardless of whether or not it applies to you, and all other laws that apply to the information that we provide to you or to or your use of our tenancy services. You agree to maintain documentation to demonstrate your compliance with this clause and to provide that documentation to us on our request (at our sole discretion). You agree that the provision of any such documents by you to us is not approval or acceptance of your privacy compliance standards. This remains your responsibility. 5.1. We have copyright in the compilation of the information we use to supply our tenancy services to you, and in the reports we supply to you when you use our tenancy services. 5.2. You can only use the reports and information we supply you for your own internal business use and only for the purpose that we supply them for. 5.3. You agree that you will not re-sell, re-package, copy, reproduce, modify, adapt or otherwise re-use our information in any other way. 6.1. 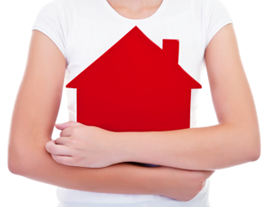 When we provide the tenancy services to you, we rely on information provided to us by others. While we always aim to provide quality information to you, you understand that we do not independently check all information supplied to us, or the compilation of information by our systems and that information may become out of date. 6.2. You understand that you are responsible for assessing the value of the information we provide you, and for the business decisions that you make, regardless of whether you base them on the information we supply. 7.1. To the extent we are able to at law, we exclude all express or implied representations, conditions, warranties and terms relating to the tenancy services or the agreement except those set out in this agreement. 7.2. We are not liable to you or to anyone else for any loss or damage (including without limitation loss of profit, revenue or business, direct or indirect, consequential, special or incidental loss or damage) however liability arises or might arise if it were not for this clause. This exclusion does not apply to anything the law prohibits us excluding liability for. 7.3. To the extent we are unable to exclude liability, our total liability for loss or damage you suffer or incur is limited to us re-supplying the services to you, or, at our option, us refunding to you the amount you have paid us for the tenancy service to which your claim relates. c. of your breach of this agreement or any other misuse of the tenancy services or the information we supply you. 7.5. In this clause 8, references to 'we' and 'us' include our officers, employees, contractors and agents. 8.1. We may change this agreement by amending or deleting terms or adding new terms. Changes may take the form of a new agreement. Your acceptance of these terms is evidenced by the use (one-off or ongoing) of our services. 8.2. We may add or withdraw any service and modify or otherwise change any service without notice to you. This includes an express right to revise the price at any time due to the fact that our data suppliers have increased the price of data that they supply to us. 8.3. Where we have used the word 'includes' or 'including' or 'for example', these words do not have a limiting effect. 8.4. Where we have referred to any legislation or a provision of any legislation, it includes that legislation or provision as from time to time re-enacted or otherwise amended. 8.5. If any term of this agreement is unlawful and unenforceable, it will be severed from this agreement and the rest of this agreement remains in force. 8.6. This agreement supersedes any other agreement you have with us for our tenancy services unless we agree otherwise in writing. 8.7. This agreement is governed by the laws of New South Wales. 9.1. You acknowledge that we source information from third parties. You understand that you are responsible for assessing the value of the information we provide you, both in the report and on the website, and for the decisions that you make, regardless of whether your base them on the information we supply.